Uniloc's latest legal overture, filed with the U.S. District Court for the Western District of Texas on Saturday, leverages patents dating back to the early 2000s. The first suit targets Apple's FaceTime video conferencing service with a U.S. Patent No. 8,539,552 for a "System and method for network based policy enforcement of intelligent-client features." Filed with the USPTO in 2003 and crediting former 3Com engineers, the '552 patent details methods of enabling and enforcing network policies between a communications service and client devices. Specifically, the IP's claims protect techniques of intercepting and intelligently filtering signaling messages that trigger communications services including caller ID, call waiting, multi-way calling, multi-line service, and codec specification. 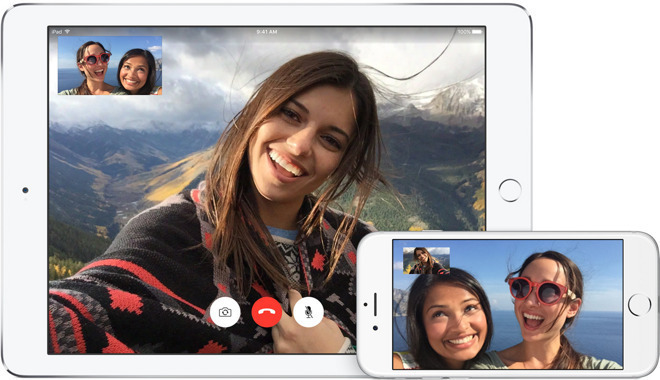 FaceTime works in a similar manner by first binding a supporting device to a phone number or Apple ID, information that is used server-side for caller identification. When a user starts a FaceTime conversation, a signaling message is sent to FaceTime's servers, which determines whether the target device is authorized to accept a call, the suit reads. If the target device is authenticated, a connection is established and the sender's information — caller ID credentials — are divulged to the recipient. Filed with the USPTO in 2003 by Hewlett-Packard, the '552 patent was signed over to 3Com that same year. HP regained control of the IP, and more than 1,500 other assets, as part of its acquisition of 3Com in 2010. Uniloc's main Luxembourg arm took control of the IP in 2017 before signing it over to Uniloc 2017 LLC in May of this year. Uniloc claims Apple's iPhone 4 and later, iPad 2 and later, iPad Mini, fourth-generation iPod Touch and later versions and MacBooks running OS X and later infringe on multiple claims of the '552 patent. In its second suit, Uniloc takes aim at iMessage audio features with U.S. Patent No. 7,020,252 for a "Group audio message board." The patent, granted to Philips in 2006, details a "communal audio message recordal apparatus" that enables multiple users to record and access audio messages. Each message carries a "qualifying parameter," such as a timestamp or geographic location, which is used to grant or deny access to recordings. The '252 patent presents an alternative to sifting through irrelevant messages, or gating access to messages, posted to a community style board. For example, users who visited a nightclub might be granted access to recordings from other users who also visited the venue within a specified time frame. Uniloc construes the IP more narrowly, saying Apple's service allows users to record voice messages that expire after a set period, specifically two minutes after it has been played by a recipient device. The '252 patent was filed for in 2001, then reassigned to IPG Electronics 503 in 2009, Pendragon Electronics in 2012 and finally Uniloc Luxembourg in February of 2018. Uniloc 2017 took control of the IP in July. Uniloc's suit targets iOS devices running iOS 5 or later and Mac products running OS X or later. Both suits seek unspecified damages, reimbursement of legal fees and other relief deemed fit by the court. Saturday's lawsuits were filed a month after Uniloc's last play at Apple, which perhaps not coincidentally involved an HP patent and FaceTime. In 2017 alone, Uniloc sued over Maps, Apple ID, remote software updates, AirPlay, autodialing, battery technology, device wake-up, step tracking, AirPlay, the Home app, the Apple TV Remote app and Apple Watch GPS capabilities.